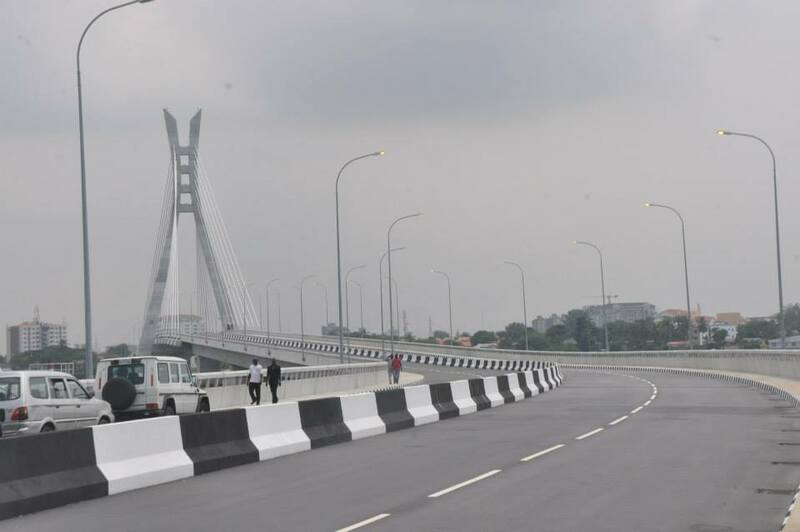 On the 27th of March 2014, the Federal High Court, sitting in Lagos, held that “there was no existing law in Lagos State, permitting the collection of toll on the newly constructed Lekki-Ikoyi Suspension Bridge in Lagos.” Now, lawyers are usually wary about commenting on a judgment that they have not read in its entirety, but various newspapers quoted the judge’s ratio (i.e. the thinking behind the court’s ruling) extensively. This commentary will be based on the quoted excerpts and the provisions of the Lagos State Public Private Partnership Law of 2011. The PPPL establishes an Office of Public Private Partnerships and gives it powers and responsibilities. It sets the framework for entering into Concession Agreements and states that they must be ratified by the House of Assembly before implementation. Good, so far? Okay then. Let us return to the court’s judgement briefly. “The third respondent [i.e. the Attorney-General of Lagos State] tried to justify the collection of such toll in paragraph 26 of their counter affidavit, by stating that when the bridge is erected, its proceeds will be applied to the consolidated revenue fund of the LASG. The thrust of His Lordship’s judgement therefore appears to be that toll cannot be collected on the bridge pursuant to a provision in the PPPL because the bridge was constructed with funds from the public purse and is therefore not a PPP project. Is this a correct position to hold? Does the title of a law limit the scope of the law? Let us examine the referenced sections of the PPPL and then discuss the rudiments of statutory interpretation. Section 27: Notwithstanding the provisions of any Law [of Lagos State], the [Governing] Board [of the Office of PPP] may designate any public infrastructure or public asset, any road, bridge or highway within the State as public infrastructure[i] or public assets[ii] with respect to which user fee or toll shall be payable for the purpose of this Law subject to the approval of the House of Assembly. Section 28: Notwithstanding the provisions of any Law, the Board may in the relevant concession or other agreement, authorise any person, in return for undertaking such obligations as may be specified in a concession or project agreement with respect to the design, construction, maintenance, operation, improvement or financing of public infrastructure or public assets, to enjoy specific rights as may be stated in the concession or project agreement including the right to levy, collect and retain service charges, user fees or tolls in respect of the use of the public infrastructure or public assets. Section 29 is long and boring but can be summarised as providing for regulating tolls and conditions under which the public will access the infrastructure. You can view the full PPPL here. In simpler English, section 27 says that regardless of what any other Lagos law says, the PPP Board has the power to designate public infrastructure or assets for tolling, subject to the approval of the state’s House of Assembly. Section 28 says that a person/company can be authorised to levy and collect tolls in return for fulfilling its (i.e. the authorised person’s) obligations under a concession agreement or other agreement, regardless of what any other law of Lagos State says. Bearing the foregoing in mind, was the judge correct to hold that public infrastructure and assets may only be designated for tolling under PPPs? I would respectfully disagree with the honourable judge for the reasons that follow. 1. Long Title: Laws generally have a long title at the beginning, as well as a short title at the end. Both are aids for interpreting laws. The short title of the law we’re considering is The Lagos State Public Private Partnership Law. This might lead readers to think the law only legislates on PPPs but I think the long title suggests otherwise – A Law To Provide For Public Private Partnerships, Establish the Office of Public Private Partnerships, Enhance Infrastructure and Service Development in Lagos State and for Connected Purposes. The purpose of the law is four-fold, one of which is enhancing infrastructure and service development in Lagos State. It is not solely concerned with PPPs. My learning friends at the Law School would probably support me if I went further to say that the phrase “and for connected purposes” is added to the long title of every law specifically to avoid being put in a straight-jacket as the Federal High Court did here. 2. Sections 27 & 28: Even if the law were held to only apply to PPPs, sections 27 & 28 begin with the words ‘notwithstanding the provisions of any Law’. This expression recognises that laws overlap each other in practice, even if this is not the intention of the House of Assembly; laws do not exist in isolation to each other. This means that unless expressly excluded (as done here), other laws can impact on the PPPL. The inference is also thus that unless sections 27 and 28 limited their application to PPPs, courts should not impute this restriction unless not to do so would lead to an absurdity. 3. Section 27, again: Section 27 gives the power to designate public infrastructure and public assets for tolling. ‘Public Infrastructure’ and ‘Public Assets’ as defined by the PPL (and reproduced below) have not been defined as assets/infrastructure that were built/developed under PPPs. Now, it might scare us to know that the government can wake up and decide to toll any public facility or amenity but ratification by the House of Assembly has been inserted as a check on the executive (we know they’re more often than not the rubber-stamp of the executive but the principle can’t be faulted). The Lagos State Government has filed an appeal against the judgement, though it continues to collect tolls in the interim. Did they apply for a stay of execution and if yes, was it granted? [UPDATE: I’ve just been informed that the hearing for the application for a stay of execution is fixed for April 25. With Senior Advocates of Nigeria as Governor and Attorney-General, it is somewhat surprising that toll collection continues.] The lawyer who brought the action against the government claims to have been the target of assassins. We pray for his continued safety and well-being. Can they still be collecting tolls pending a judgement on the application? If they applied for a stay of execution of the lower court’s judgment and it was granted, then yes. Hearing for the stay of execution is due on 25 April. Ah. Seen. I should edit that on the post. Or did you mean that their application for a stay has yet to be heard? If that’s the case, then they shouldn’t be collecting.